‘We were looking for a summer adventure to celebrate our 40th birthdays, but also something we could do together with our 8 year old son, Joseph. Where to go? 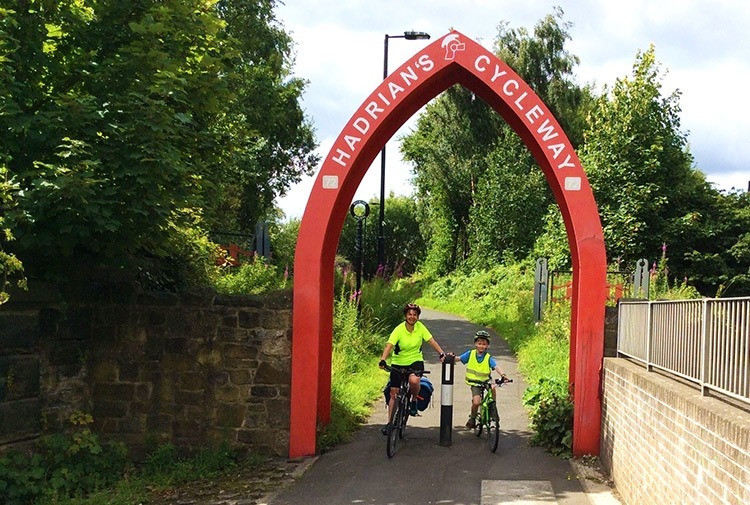 Skedaddle’s Hadrian’s Cycleway way seemed to fit the bill. It was achievable for an 8 year old but had a sense of purpose and achievement. It was also part of the country we had not explored, and so somewhere new we could all discover together. We arrived at The Hilton in Newcastle the night before starting. The hotel had amazing views of the river and we could see the trains coming and going in and out of Newcastle station on the opposite side of the river. Joseph was fascinated by the idea of seeing trains go over the bridge that would have passed his house in Cornwall earlier in the day. From Newcastle the next day we had a lift to Bowness on Solway along the A69 and that gave a taste of the landscape. The contrast between that 2 hour trip and the 6 days to retrace on the bikes in the other direction emphasised the connection with the landscape that one looses on car trips. Through the first tentative miles across the salt marshes of the Solway firth we found our form, and became familiar with the little blue and red number 72 National cycle network signs that were to guide us for the next 6 days. On the second day, we set off for the big climb up to the main ridge and the first of the English Heritage’s forts that dot the ridge provided an opportunity to dry off from the rain that day. The fort’s guides were unimpressed at our use of a knight’s armour costume to dry out cycling jackets on! Fortunately the clouds cleared as we headed on up to the Roman Army Museum and thence back down off the ridge, completing the longest day at 22 miles. Past the still unfolding 30 year excavation at Vindolanda, we reached the highest point of the ride and then down, down, down to Newbrough, and a delightful church whose history was entwined in the ever shifting border. That night was Corbridge, and the best B and B ever with Torva our host. She took us in hand, sorted our washing and delivered us to the pub for tea! The next day was a gentle ride, and so we took time to explore Corbridge and its gift shops and delightful church where we were lucky to listen to rehearsals for the well-respected music festival. The cycle path now picked up the route of the Tyne in its final form as it gathered itself for the sea, with the last leg of the day following one of the routes of the earliest railways in Britain and past Stephenson’s cottage. 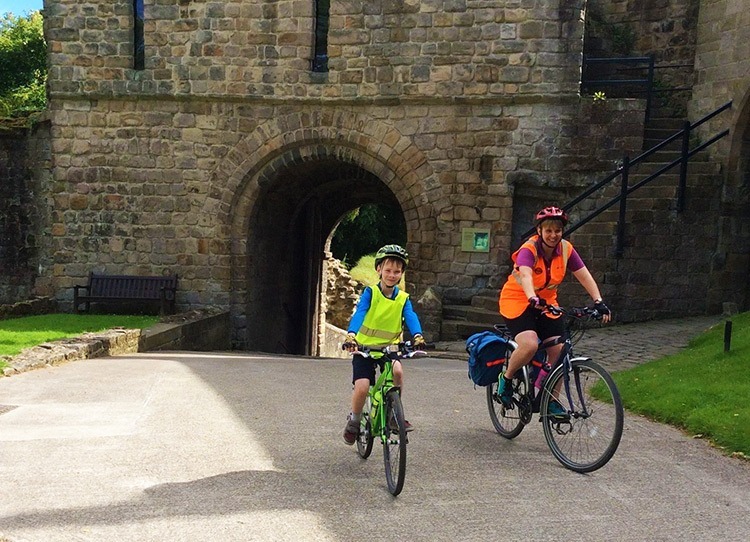 The final day was the home run in into Newcastle on increasingly urban but well signed trails, passing through the Sunday morning Quayside market and stopping for a well-earned snack at Skedaddle’s home at The Cycle Hub cafe. Such was the confidence the trip engendered, a week after we were back Joseph and Liz cycled from our home in Truro to Portreath on north Cornish coast the spur of an idea for the afternoon – 16 miles on the old mineral tramway – and I collected them both looking fresh as daisies at the end of the afternoon, and looking ready for another 16 miles. The final, cementing of the achievement was when Joseph was getting his new school uniform at the end of the summer hols. The lady in the shop said her previous 8 year old customer liked cycling and had just ridden 3 miles. On enquiring if Joseph liked cycling she was somewhat stumped with the very modestly and matter of factly delivered reply that he was fresh back from a 117 mile ride, which in his opinion was just normal stuff for an 8 year old. Feeling inspired? 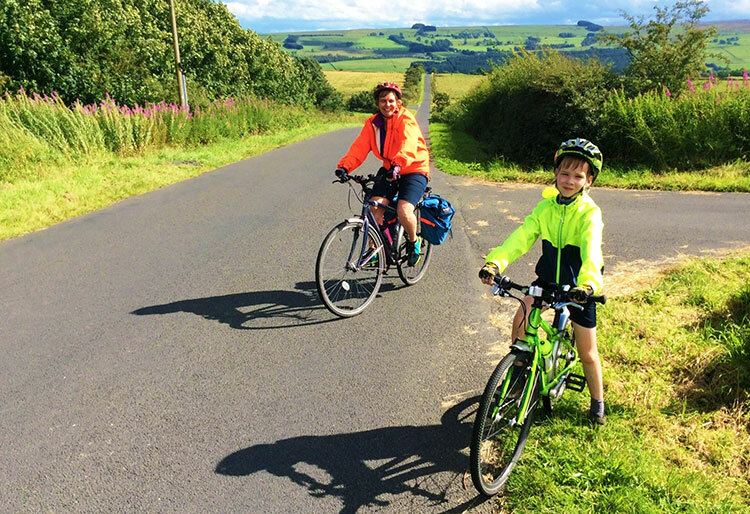 We have a fantastic choice of family cycling holidays in the UK! 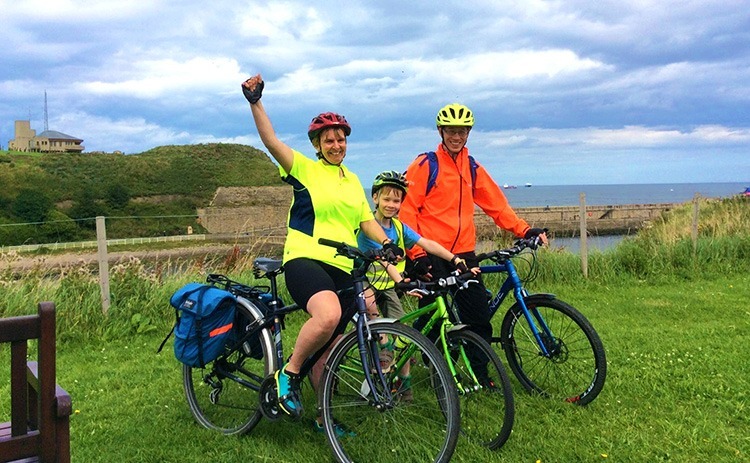 You can choose between guided, supported and self-guided options, giving you the flexibility to decide whether you would like the freedom to cycle as a family, or explore as part of a group. With variety of locations and grades, there’s a cycling option for you regardless of your preference or ability!